The game you didn’t know you needed. What do you get when two of the greatest rhythm and music game designers ever team up? A rhythm action adventure game starring a rabbit in feudal Japan. 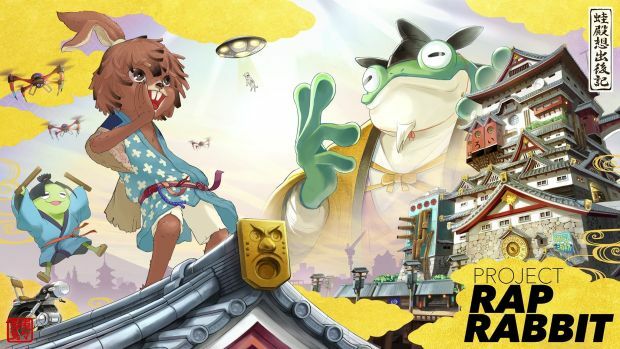 Project Rap Rabbit is officially real and comes from PaRappa the Rapper and Vib-Ribbon creator Masaya Matsuura alongside Gitaroo Man and Osu! Tatake! Ouendan creator Keiichi Yano. Studios NanaOh-Sha and iNis are essentially banding together to make this game. Along with an official website, there’s a teaser everyone can view below. There’s not much to it but the art-style feels instantly familiar to any fan of the above games. Its platforms and release period are still up in the air but more information should arrive in the coming months. What are your thoughts on the game’s art-style or rapping rabbits in general? Let us know in the comments below. Who knows – there could be more information at E3 2017 regarding Project Rap Rabbit.